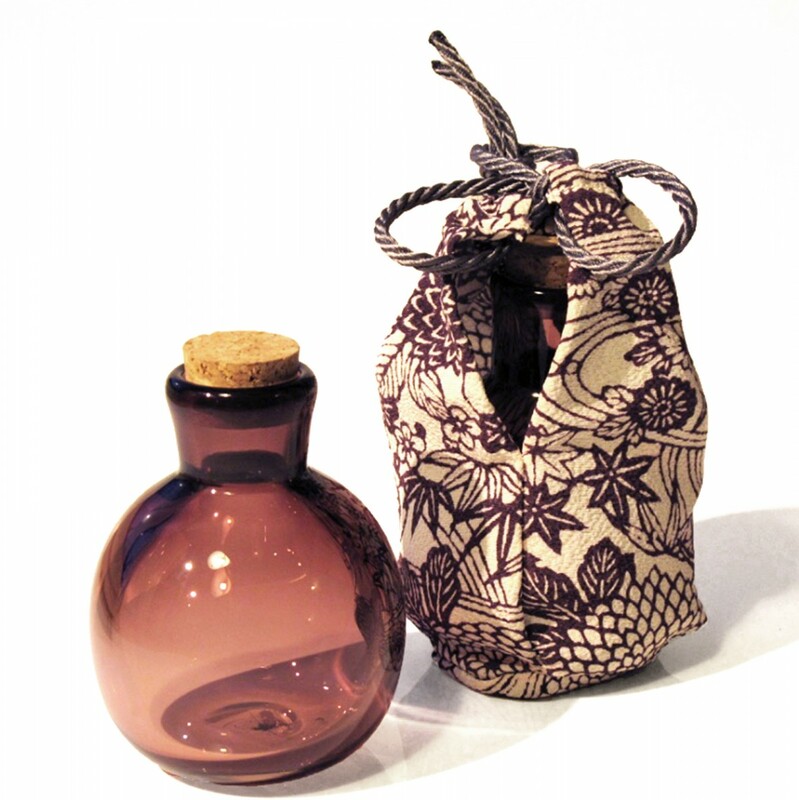 Based on the traditional ‘chaire’ used in the tea ceremony, these tea caddies are made from hand blown glass with cork stoppers. 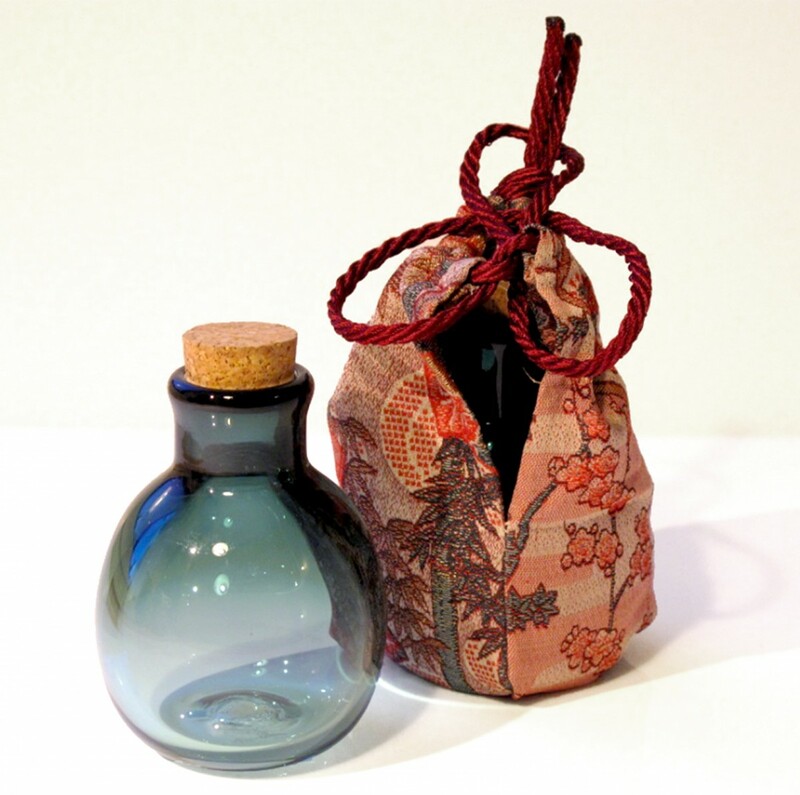 The caddies are presented in hand-sewn bags made from vintage kimono silk, based on ‘shifuku’: pouches made from precious fabrics used to store tea ceremony utensils. A demonstration of a traditional method of tying the shifuku can be seen here.